"I believe we're creators. And I believe we create with every thought and every word... every moment is pregnant with the next moment in your life"
A while back I bought a 4-bay Drobo. FWIW, it's still sitting on my desk. Hasn't thrown a light or any errors. Slow as f*ck but rock solid. How slow? How about 8-10MB/sec slow? Yeah. That slow. But it houses my 1.5TB of files which include all my full-layer-intact Photoshop TIFF files (250GB) and 1.3TB of images. By the end of the year I should see this double in size. Accumulating full intact-TIFFs really taxes the system since the files average 450-500MB per retouched file. With my retouching speeds increasing, I'll need more space. Plus I've only been keeping full files since May 2010 so going forward my storage needs will grow faster. January was a big month for me. I'm talking like it's over. That's because I'm done with January. My January started on December 6th 2010 when I returned from Asia. I bit off more than I could chew for January. The 2 day workshop starting when I was already 4 shoots behind, then shooting again on Monday. I'm still exhausted. I thought I could keep pace. But more importantly I thought I had an endless supply of creativity on tap. Since using the 240GB OWC Mercury Pro Extreme SSD as my dedicated scratch disk, I've been beating it up pretty good. Being that I'm curious in nature, I wanted to see what kind of speeds it reads/writes. Quick test shows it averaging 253MB/sec. That's fast considering my Apple 256 SSD only writes at 174MB/sec. But maybe I made a mistake by using the OWC SSD as the scratch disk instead of the boot disk since page files are bigger, badder, and more fragmented and are always on the boot volume? While I'm referencing my experiences in-studio, the procedure is the same elsewhere. I'm usually setting the H3D to 1/500th shutter for sync (Because most of my strobes don't T1 at 1/800th at my power levels). Aperture-wise I'm around f/9 to f/13 depending on the modifier. Base ISO is 100 on the H3D. With the basic beauty dish gridded or gridded softbox on the X3200 I'm looking at something along the lines of 2/3 power. On the B1600 I'm looking at 3/4 power with about f/7.1 to f/9 on aperture. All of this is at my typical working distance for these strobes. Sounds crazy but it's not. While our equipment is heavy if you can manage to shoot with one hand you can use the other hand to direct and motion to your model. I find myself doing this to either instruct the model to move left/right/forward/backward, use her hands in a specific way, point to things, all while dynamically shooting with the other hand. It's been surprisingly effective in addition to verbally communicating what you want from your model. The next step is to learn to shoot with your left hand because you are now afforded the use of your right hand. In specific lighting situations where you must hold a reflector with your right hand, now you can still shoot with your left. Impossible? No. Difficult? Yes. Today Phase One unveils its new IQ series digital medium format backs touting the highest resolution display of any SLR available (read: 3.2" retina display). Please please answer in an appropriate fashion. For example, please give us a sensor with more megapixels, faster sync speeds, a vertical grip, a better camera-back display. Please DON'T respond by releasing a limited edition Lamborghini yellow H4D-31. This evening I ran though all my presentations for the workshop this weekend. I talked to an audience of empty chairs for about an hour and a half. Wired Magazine did an interview with Chris Nolan about Inception and asked a lot of insightful questions. In his answers I find a process of creativity that is interesting and definitely something that I would like to explore going forward. Anyway, Im currently going through a phase where I don't like most of my photos. Everything just seems eh to me. It may be partly because I always strive to get better and humbled everyday by photographers like you, and partly because I get bored of things quickly. So I finally acquired an OWC Mercury Extreme 240GB SSD. OWC was backordered on these for a week so I'm about a week late in the process. But it finally arrived at my door sometime this afternoon. - It would seem very easy to crossthread the screws in the MBP, I hope I didn't do that. - They use Loctite Blue on the screws (or some version of Loctite). - It sure is dusty in my MBP. Canned air and a soft brush ought to do the trick. I walked half of my run on the way home from the gym today. Those of you who know me, I'm pretty lazy. I hate walking. I'd rather run. And I hate running. I'd rather drive. So of all things, I decided to forego the drive to the gym and walk instead... there and back. Only I can't figure out what's wrong. Deep down inside, I'm afraid that I'm going to get a physical and after all the tests the doctor's gonna tell me that there's something really wrong with me. Then I'll say, "Damnit, I knew something was wrong!" Except it's not that severe. I just haven't been sleeping well. The OWC Mercury Extreme 240GB SSD arrives tomorrow. Since I've been running a scratch disk folder on the Drobo I've accumulated 50GB in files. That's about a week of retouching (excluding actual image files). That folder on the Drobo shouldn't exist, it was created only because I didn't want to fragment my boot disk which is also an SSD. When I install the OWC 240GB tomorrow, I'll be moving the 50GB of scratch over to the new disk. I have yet to decide whether or not I should use the 240GB as scratch or boot though I have a feeling the speed might be better utilized as the scratch disk. It dawned on me as I was driving to lunch today that B&W is about the most creative thing that I do when it comes to photography. It's creative because there's so much interpretation as well as presentation... and I'm not that creative. For me, it's the probably the medium in which I get to express myself the most. That is to say, I get to break the most rules. When we learn photography we're taught a mess of rules. Rules such as "don't blow your highlights", "don't lose your darks", "use a proper shutter speed to prevent motion blur", blah blah blah. I break all of those rules in B&W. And more. Why? Because I can. I rely on my Wacom tablet for everything that I do. When I'm not using the stylus, I use the mouse as I would any other mouse. The benefits of the mouse is that it doesn't require batteries and functions perfectly for everything I don't want/need a stylus for. Except when it mistakenly registers a single-click as a double-click. I've had this issue off and on for a while now but never as bad as it has been recently. It got to the point where I couldn't take it anymore. Randomly/Accidentally opening files that I didn't intend on opening is just the tip of the iceberg. -Using the Drobo as a scratch disk is painful. Because it's painfully slow. But that's the way I do things because it's a function of my personality. As an example, I started snowboarding back when there were only two companies making snowboards; Sims and Burton. That was circa 1995. Several years later I was launching myself off of 20-30 foot tabletops. My thing has always been airtime. I find no solace in rails and funboxes or even just carving through fresh powder or dodging trees. I love being in the air. We're about 10 days out from the workshop and just about full. Models have been scheduled... we're looking to have at least 3 or 4 models for the 9 students at the workshop! -Multiple beauty setups: I don't wan't anyone standing around waiting to shoot so I'm setting up 3-4 beauty stations each with a different lighting setup. After going through each station with everyone and presenting the setup, we'll have photographers rotate through and shoot each station. -Getting your foot in the door: I nearly forgot about this segment of the workshop! I've put together a small presentation for how I approached the modeling agencies in the beginning that is nearly a bulletproof plan for "getting in". -Soft skills: I haven't ironed this portion out but there are a lot of little things that go into a great shoot. A few talking points will be; building rapport, projecting confidence, clear communication, and having fun. I will go over some own "learning lessons" (read: failures) to show you what I'm talking about! Steps #4 and #5 went smoothly. Carbon Copy Cloner works like a charm and it allowed me to recondition the hard disk while booting it off the external HD. We're back up and running. I'm redirecting some caches and scratch disk data away from the newly reconditioned Apple 256GB SSD and into the Drobo for the time being. When the OWC 240GB gets here, I'll point it into the new internal scratch disk. When everything is going well, I somehow introduce drama into my life. I should be editing the last 5 shoots. Instead, I've decided to reformat my SSD in the middle of a very tight schedule. Now why oh why would I do this if I weren't slightly obsessively compulsive or insane? But here I am staring at DiskTester as it's crunching through my Apple SSD clearing what is essentially months of speckled fragments of cache, downloads, and most of all pictures. DiskTester needs 1GB of contiguous disk space in order to work its magic. 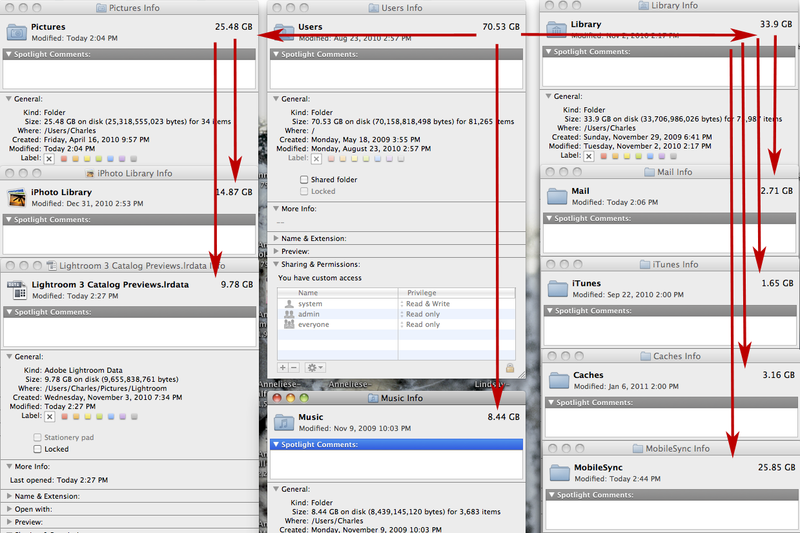 As of 3 months ago, I did not have 1GB of contiguous disk space even though I routinely deleted files to free up space. So I've done step 1, skipped 2, done 3, and onto 4. Wish me luck! Until I get my boot disk back up and running (step 5) I won't feel safe... even though it boots fine from my external USB HD. Where the hell has all my space gone? With all my images moved off the boot disk, I find that I'm still using close to 100GB of space. I'm out of space on my internal SSD. Comfortably out of space at least. I still have 60 or so GB that I save for page files etc. I can probably load 1 more shoot onto the SSD before being really out of space. The real "situation" is that I'm 5 shoots behind now. I haven't been in front of a computer for more than 30 minutes for the last couple days either. I'm a little frazzled and very tired. The upcoming few days will be a good little reprieve for me to catch up on things. But things have been good. The year has been off to a great start. With the workload and sleep issues, I have been reminding myself that it's way too early in the year to burn out. Slow and steady. Slow and steady. Hope all of you are well! :) Happy New Year! I'm writing this between full TIF saves. I save all my edits with all layers intact, the largest file I saw today was over 1GB large. 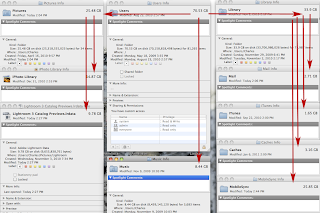 The problem isn't the size but the time it takes PS CS5 to crunch through the save. It's sometimes over a minute long. 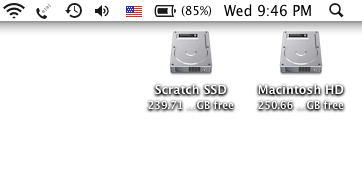 Sure I'm saving to an external but I'm telling you, it takes 85% as long when I save to the internal SSD. "Fame is the perversion of the natural human instinct for validation and attention."